They say you never forget to learn how to ride a bike. Teaching your children how to properly ride a bicycle is incredibly important. It helps improve a child’s motor functions, their hand-eye coordination and helps to teach them to be aware of their surroundings. It also gives children a sense of exploration and a new level of freedom where they can test and challenge themselves. 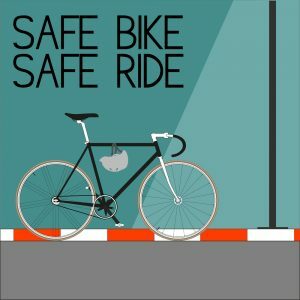 Unfortunately riding a bike can be quite dangerous, so teaching your child about cycle safety is also important. That is exactly what the 3Sixty display riders did in a trip to Norton Primary school in York. The riders tackled obstacles and jumped over volunteers, including members of staff and teachers at the primary school. The stunt was part of a project designed to promote cycling and the health and safety hazards of cycling so that all children could cycle safely and confidently before leaving primary school. Both Year 6 and Year 5 children have been completing five-week cycling courses as a part of their PE curriculum, with some of the Year 6 pupils even going on to complete mountain bike training and to pass their level one, and level one and two bikeability training.